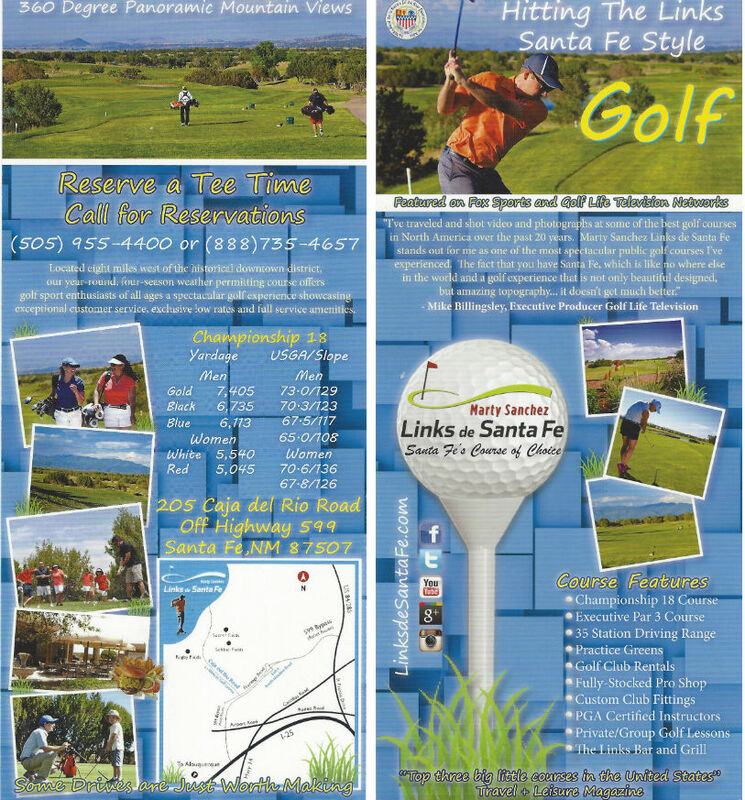 Santa Fe’s finest municipal golf course. Open year-round, weather permitting. Features a championship 18 hole course and par 28 course named one of Travel & Leisure Golf’s top five “big little” courses. 35-station, all-grass driving range, two practice greens, one practice bunker, pro shop and restaurant. Panoramic views and championship golf course.